Wine accessory for the neck of the bottle. 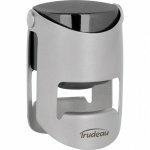 Wine pourers, stoppers, cutters and drip rings. Extracts the champagne cork with little risk and effort. 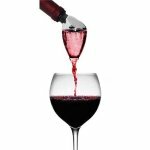 This Rabbit Aerating Pourer improves flavor and bouquet of red wine. Wine stopper with a funky stag design! 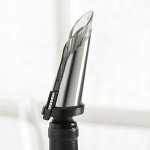 2 in 1 Vacuum Wine Stopper by Ravi. 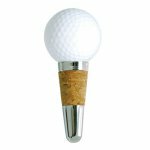 Golf Ball wine stopper. 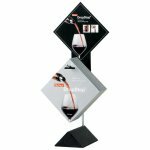 Ideal gift for any golfing wine lover. 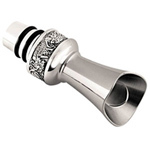 Zinc alloy stopper, secure cork seal. 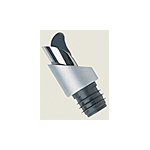 Gear Shift Wine Bottle Stopper. Made of Wood & Metal. Premium Cherry Wine Bottle Stopper. 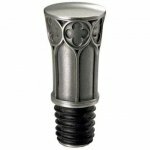 Palladio Collection, Pewter Beads Wine Pourer by Royal Selangor. Price indicated is for ONE bottle stopper. 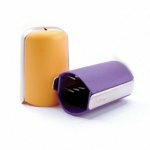 A stopper and pourer in one! Easiest foil cutter you will ever use.